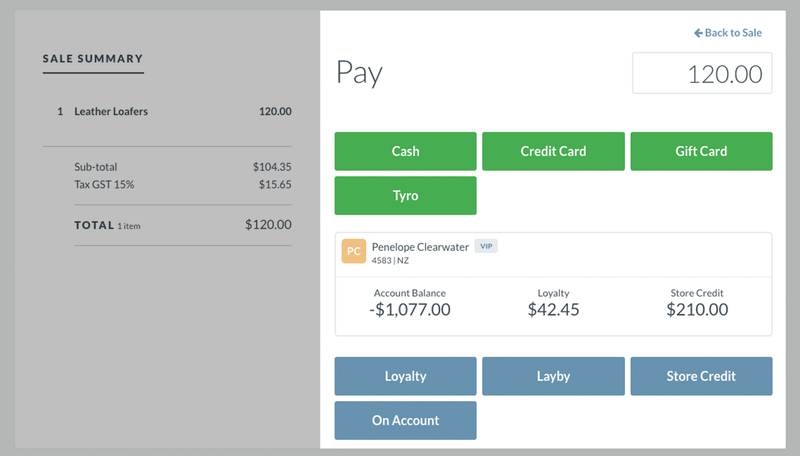 Store Credit in Vend – How can we help? 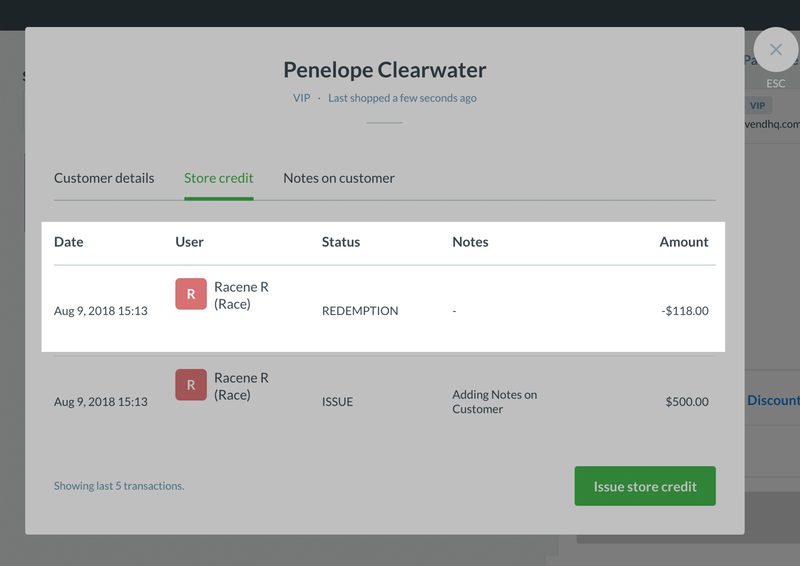 Vend's store credit feature enables you to issue store credits to your customers as part of a return. These store credits are placed on your customers accounts and can be used by your customers to make purchases in the future. Do not enable the store credit feature if you are using Quick Books Online. Store credit cannot be sent to Quick Books Online, and any register closures that contain store credit payments will not post across. 3. 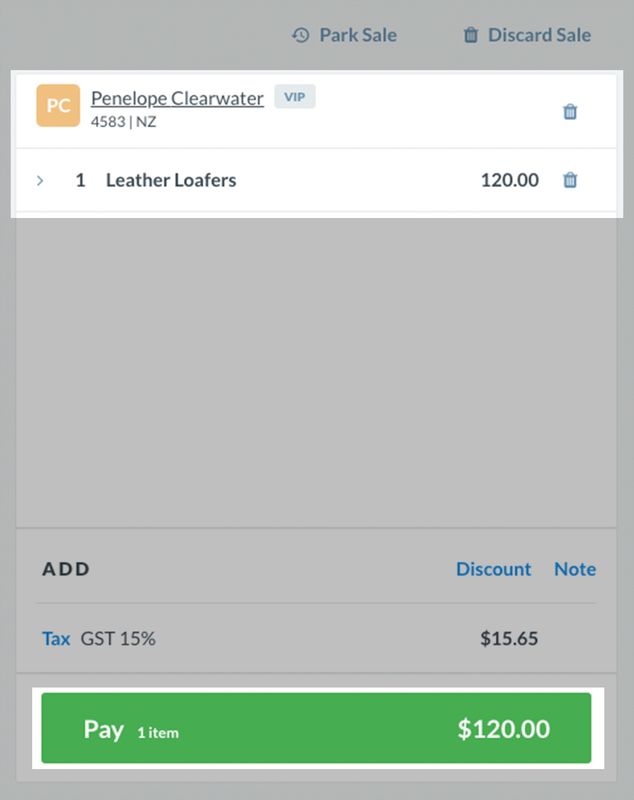 If your store is linked to Xero, follow the step shown below the green switch to configure your "store credit liability" with Xero. By default, only managers and admins can issue and redeem store credits. If you'd like to allow this feature for cashiers, navigate to Setup -> Users and select Roles near to the top of the page. Select your Cashier role from the list below. From this page, you will be able to change various permissions for your cashier, including permissions around issuing and redeeming store credits. Now that you've enabled store credits you can issue store credit to your customers as part of a return. To learn more about manual store credit, click this article here. To redeem a customer's store credit, create a sale for the items they wish to purchase, add their customer account to the sale and click Pay to proceed to the payment screen. Once in the payment screen, you will see the amount owed as well as a range of payment options. To pay off the entire sale using the customer's store credit, click the blue Store Credit button at the bottom of the page. If you only want to make a partial payment using store credit, change the amount tendered to the desired amount and then click the Store Credit button below. This will complete the sale and deduct the used store credit from the customer's account. 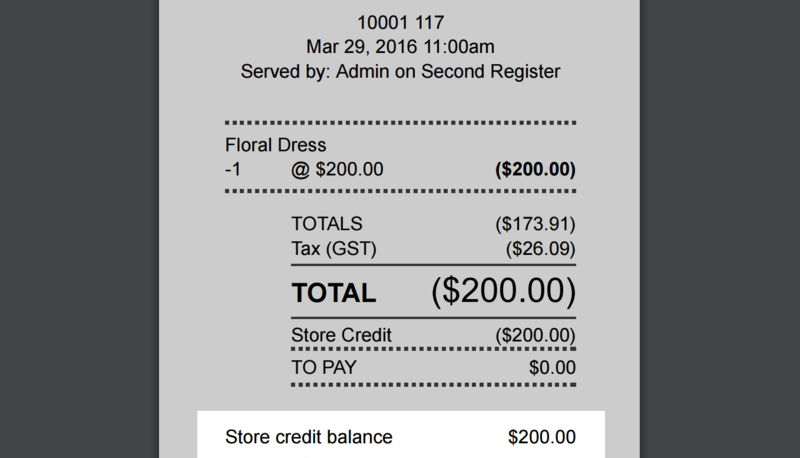 The customer will be able to see their updated store credit amount on the sale receipt.